You may recall that recently I ran a post with Mike Engle, “What Is Your Uni Secret?,” which asked readers to come up with their “guilty pleasure” for a uniform. In that column, I mentioned that the idea for such came from a reader whom I could not remember at the time, and I asked that reader to come forth and accept the glory for a wonderful suggestion. He did, and it turns out that suggestion came from Dave Magruder (“Dave Mac”), who joins me today with another interesting suggestion (a portion of which also appeared in the comments a while ago) He has expounded upon that original suggestion. In 2000 the Rams changed their uniforms from royal blue, yellow and white, to millennium blue, gold and white. At the time this seemed like relevant change due to the team’s new identity in St. Louis as “The Greatest Show on Turf.” Recently, however, I’ve been longing for the team to return to their classic royal blue and yellow uniforms (thankfully they will wear them as throwbacks in 2009). These uniforms were a staple of Rams time in Los Angeles as well as the team’s Super Bowl 34 championship in St. Louis. 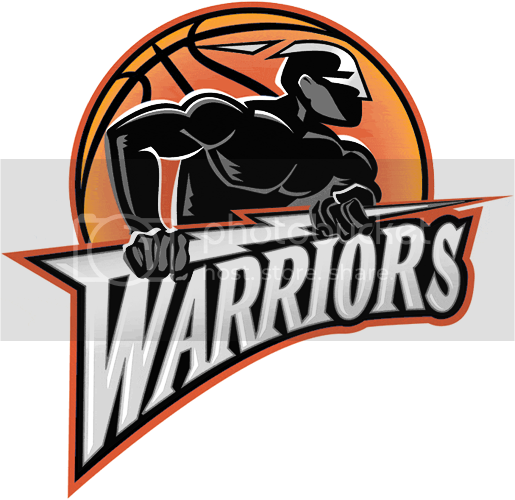 However, I have always been fond of the current logo introduced with the 2000 uniforms. It is fairly no-frills and modernistic, but it still has a certain charm and connection to the past. This gave me the idea to combine the best of both worlds ”¦ the new 2000 logo with the classic LA Rams colors. These types of old/new hybrids don’t always work, but it was intriguing enough for me to see how it would look. Not knowing much about design myself, I asked some Uni Watch readers if they could help me create this logo and several of them posted responses. 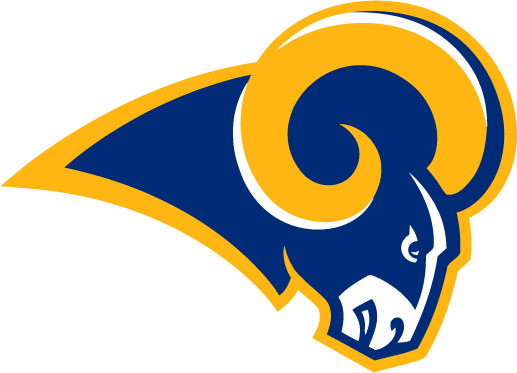 Compare the current Rams logo to the current logo with traditional colors (this one created by UW stalwart Chance Michaels). Interesting. This got me thinking of other logo possibilities. 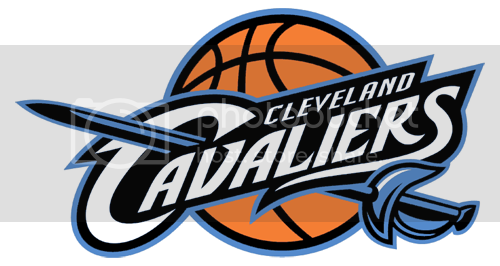 Have there been teams you’d like to see combine a current color scheme to an old logo? Or vice versa? 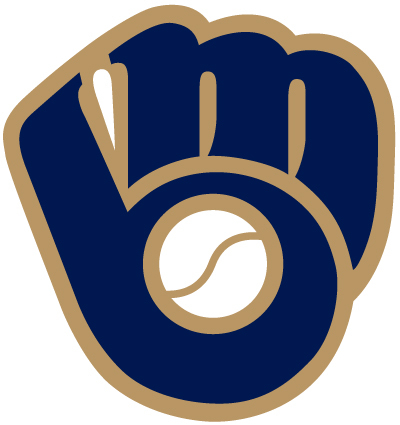 What if the Milwaukee Brewers brought back the old MB ball and glove logo with their current gold and navy color set? Or what if the Seattle Seahawks current, more aggressive hawk logo was filled in with the old Pacific Northwest colors of green, gray and blue? 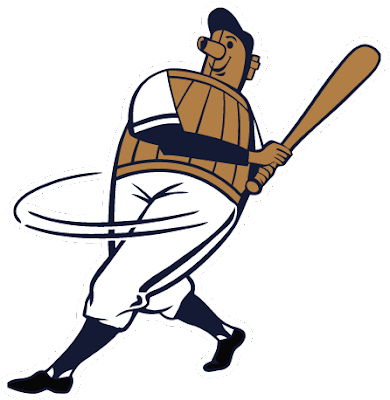 Or what about Milwaukee Brewers barrel man with current colors, the Tampa Bay Buccaneers Bucco Bruce logo in red and pewter current color scheme, the Green Bay Packers “G” logo in blue and yellow (1940s team colors), or the Detroit Lions (pre-2009) logo with a gold or red color scheme (see grafs 12 & 13) from the team’s early history? There are a lot of interesting possibilities I haven’t mentioned that may be worth exploring. Indeed there are Dave. As fate would have it, Chance Michaels has already created the Barrel Man in current Brewers colors. Pretty sweet, huh? What say you, dear readers? 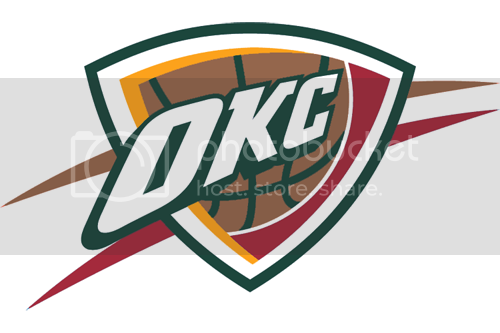 Do you have any suggestions for former logos or wordmarks or images you think would look awfully sweet if they were updated with your favorite team’s current color scheme? Or, how about a logo from today with colors from the past? I think this could be a really interesting project. If you have the Photoshop/Illustrator or other graphic skills, would you like to try your hand at a few of these? If you don’t, how about you make a suggestion for a “new” logo with updated colors (or altogether new colors) and post it here. Perhaps those of you (and there are so many talented UWers out there) with the skills can take some of the suggestions which are sure to follow and create what has been suggested? I’ll gladly run your submissions in a future column! Either post them directly into the comments or send them directly to me and we can take a look at these again in a short while. As you guys know, I’m not much in the way of a graphic artist, but I figured I would give a couple of Dave Mac’s ideas a shot, just so we could get an idea of what he’d like to see. So, here’s the Seahawks old & new logos (with the new logo in old colors) and the Original Bucco Bruce, and how he might look with current Buccaneer colors. Finally, here’s what I came up with for the Brewers classic Ball in Glove logo with today’s colorscheme. And since I’m not much of the graphic artist, I commissioned Pretty Boy Paulie (Paul Soto), UW graphics genius, to help out with the remaining logos Dave had described: the Green Bay Packers in Blue & Gold, the Detroit Lions in Red & Black as well as the Lions with Gold outline. Thanks Paulie, yer the best! Thanks again, Dave, for the suggestion. OK Uni Watchers, let’s hear what you got! Guess The Game From The Scoreboard: OK — you guys have gotten so good at this game, I’m gonna try and stump you, or at least make you work a little today. Slight changes to the “rules” as well: DON’T email me with your guess, but don’t put it on the board either. Instead, if you wish to take a shot at the answer, go to Baseball Almanac or Retrosheet and copy the URL of the game that’s about to follow. Just say something like “I GOT IT” and post the link as your “answer” in the comments. This way, those who wish to guess can still do so without seeing the answer in the comments. Ok? Ok! Here we go: Guess The Game. Remember, I want the date, location and final score (all of which can be gleaned by posting the link from one of the reference sites). Let’s see how long this one takes you. *If you have a scoreboard photo you’d like featured, please send it to me. I’m compiling a pretty good “stash” for your guessing pleasure, but I can always use more. Make sure to include the date, location and final score! Thanks. This is pretty cool. Brinke Guthrie (“=bg=”) sent me this really cool collage he created this week. I liked it so much, I told him I’d share it with y’all. Also extremely cool is this. Check out the Royals 40th Anniversary Website. Notice anyone in particular? (In case the website happened to rotate out the photo to which I am referring — here’s a screengrab). If the name of the kid in the uni isn’t familiar to you, that’s UW’s own “Lwiedy“. BOBBLE-iscious: Well, it came! UW Bobblehead Guru & Artistic Genius Robert Marshall‘s custom bobble arrived this week in a standard FedEx box…standard until you saw the customization on the side. My anticipation was high as I opened the box to reveal my very own bubble-wrapped “LI Phil” bobblehead baseball boy … he even came with a custom bubblewrap neck brace. And now I have actual proof that, at the very least, the bobble-likeness Gets It (TM). Awesome! Bobbleboy now sits atop my computer desk, looking down upon me at the ceiling with disdain. This is an amazingly high quality bobble. And it’s heavy too. Like, crack-your-skull heavy. Robert even made a video of the little guy before shipping. If you haven’t looked into getting your own custom bobble (hey — Father’s Day is coming up!) I cannot recommend this highly enough. Robert didn’t ask me for a plug, but I’m gonna give it to him anyway. Contact Him if you’re interested. I guarantee you won’t be disappointed! This is my first post at Uniwatchblog, but I’ve been following it for a few months and never go a day without missing it. I’ll be posting as Secane Snake (don’t ask). I decided to start tracking the Philadelphia Phillies’ W-L record by pitcher and uniform as a way of teaching myself iWork Numbers which I recently started to favor over MS Excel. I was intrigued by the work put into user Scott Gladin’s spreadsheet being used to track the Braves, and I decided I would see if I had the chops to replicate it. I think I did pretty well, although I’ll admit the Phils are a much easier team to track. Here is a screen shot of what I have so far. My WFC Phillies are a decidedly simple team to uni track. Not only do they mostly wear the same classic red hat for both home and away games unless instructed otherwise by the league (Memorial Day, 4th of July, etc. ), but figuring out when they will/did wear their new (as of 08’) cream alternate uniforms and blue hats is simple: They wear ”˜em during home games that start before 7pm EST, or “day games,” if you will. Simple as that. Wearing only 3 uniform sets makes me less inclined to believe the Phils’ winning percentage is at all influenced by their choice of uniform, but I do hope they’ll keep up the ridiculous 77% WPCT they’ve accumulated as of June 6th while wearing their away grays. Two players, Joe Blanton and Brett Myers, have been drastically better wearing the gray, and the pitching staff as a whole has only notched 2 decisions at all let alone wins in 8 games wearing the cream alternates. Since the team was 4-4 before they started to wear the HK patch commemorating the April death of legendary broadcaster Harry Kalas, their winning percentage with the patch is going to be easy for anyone: simply check out the standings, the Phils’ WPCT overall is the same for their WPCT with an HK patch. As for anomalies: I considered their gold trimmed home-opener WS jersey as just another regular home jersey, but I will always remember that they are 0-1 with that get-up. After that we have the gray Jackie Robinson #42 they wore in May against the Nats which they won, and the Memorial Day game in which they looked pretty much the same wearing another red hat in which they also won. Thanks Tim. And now, officially, welcome to Uni Watch! This and That: While I was too busy watching Luis Castillo singlehandedly cost the Mets a win at Yankee Stadium last night, apparently there was some kind of hockey game on — Congrats to the Pens … We all flock to UW to see the athlete in uniform. Now, the WWL is hoping we want to see the athlete sans uni — like, REALLY, without uni … Sounds like big things are planned at next weekend’s Civil Rights Game, the first time MLB is playing it during the regular season — maybe the Chi Sox will recycle last year’s unis? Right. … Here’s more on the Civil Rights game and Cincinnati’s hosting of that event … Are you a male who’d like to make $100 the sleazy way? Then Rick Reilly has a deal for you … The United Football League will announce logos and colors and nicknames and sponsorship deals for its four franchises in the coming weeks — What the UFL should do: Pursue signing Michael Vick with abandon and assign him to the Las Vegas team … Especially since Vick was released by the Falcons … Apparently, the Red Sox threw at A-Roid on purpose … So will Petey be wearing a Rays or Cubs uni this season? — He’s lookin’ ripped … Apparently we’re not the only ones “Calling It Shea”: Awesome! Special Saturday Uni Watch Ticker (compiled by Paul): Very cool that the Nets still have this banner up at their arena (with thanks to Peter Wunsch). ”¦ Utah and BYU are getting new field designs (with thanks to Jon Alviani). ”¦ So many weird things going on in this photo. First, you’ve got New York Giants players wearing Mets caps. Then you’ve got Mets PR guy Jay Horwitz getting a Giants jersey. And finally, why did they give him a road jersey instead of a home version? ”¦ Patrick Williams, who works at the Braves Museum and Hall of Fame, saw the recent Ticker note about the upside-down N at Turner Field. “I pointed out the mistake to my supervisor,” he says. “It has been passed on to the engineering department and will be fixed soon. Thanks for the catch!” ”¦ Awesome 100-year-old ad for baseball gear here. ”¦ You know how some old baseball jerseys had button-on sleeve extensions? Look — you can own a set of the extensions! Never seen that before. ”¦ Did you know that MLB teams can prohibit any minor league team in a 60-mile radius from conducting a bobblehead giveaway? I didn’t, until Robert Ruszczyk sent me this and this. Amazing. Also very sad. ”¦ Here are Washington State’s new football uniforms. ”¦ Virginia Tech plans to wear special throwback helmets for their home opener (with thanks to Jonathan Sluss). ”¦ Here’s an odd but useful view of the Bills’ white throwback (with thanks to Mike Sullivan). ”¦ Great shot here of Dave Bing wearing wrestling headgear, presumably due to an ear injury (nice find by Tris Wykes). Hope I did that right…. The Helmet Project site has some “made up” helmets, including classic colors/current logos for the Denver Broncos and New England Patriots. Not bad, actually, though I think he took liberties with the stripes. The family and I went to Arizona for some spring training games this year. The Brewers had their current M logo painted on the grass behind home plate in the blue and yellow retro colors. We thought it was pretty cool. I officially love the modern Rams logo in the old colours, for me it works far better in royal and yellow gold than the newer, darker shades. I hope they recolour the Ed Jones Dome end zones and field markings accordingly when they wear the throwbacks. Speaking of which, I wish they’d get them on sale already. Don’t know if anyone has mention this yet or not but the Tigers and Pirates will be wearing their 1909 uniforms in Sunday’s game. The Tigers and the Pirates meet in the 1909 World Series. Can’t wait to see it. I saw this before a Cardinals game the other day. Wonder where they pulled this jersey from? Everything is wrong about it. Just a stirrup notice. Did anyone get a screen grab or picture of Bobby Cox from Thursday’s Braves v Pirates game? Bobby had on low cut stirrups when he came out and got ejected on on the call at first. I couldn’t really think of any other big league logos that have changed, but I did recall two local minor league teams that have actually swapped colors. The Jupiter Hammerheads switched from red to teal when they traded affiliations from Expos/Nats to Marlins. 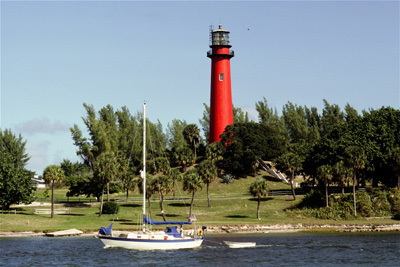 I liked the consistent red on the hats, since the actual lighthouse is red too. But as a stand alone logo on the page, the teal provides greater contrast to the red lighthouse. As part of that swap, the Brevard County Manatees switched from teal (logo and hat logo) to red, and it is much worse now. They’ve kept the red since becoming a Brewers affiliate too. Can we see the current Blue Jays logo in blue? Any kind of blue, preferably one from their past? Last night was the last NHL game played without the new Reebok-ruined referee uniforms. I wonder what the current Mets cap would look like in the old NY Baseball Giants black and orange. Oh, that’s right. Which brings up another point: when remembering/celebrating “their” history, why do the Mets always include the Dodgers (think of Jackie Robinson and Ebbets Field featured prominently in the design of New Shea) but not the Giants? Those classic Brewer and Sabre logos look pretty good in the other colors. Can somebody try the Houston Texans logo in the old Oilers light blue? Current Padres, in some combination of brown, orange, and gold? [quote comment=”334732″]I wonder what the current Mets cap would look like in the old NY Baseball Giants black and orange. Oh, that’s right. Fred Wilpon was a Dodgers fan growing up. I like the idea of the color swap idea. The Detroit Pistons did this when they ended the teal era. They kept their logo but adapted it to the new (old) color scheme. Looks like you can add Washington St. to the list of schools that don’t employ TV numbers. Can anyone elaborate on that picture of Brian Moorman wearing the white Bills throwback uniform? Are they going to wear that this year? I was sort of under the impression that they were only going to wear the royal blue throwback?? Lastly, the Rays are complete douchebags. I like this idea too. Can someone do Canucks in their black, yellow and red from the 90’s for the Orca and the stick-in-rink logos please? “The Bills revealed in their training camp press release that on their night practice at training camp on July 30, they will lauch the official Bills jersey commemorating the 50th anniversary of the AFL. They already have a blue throwback for sale. They play a road game at Tennessee in which they will wear a throwback jersey. So expect them to be unveiling a white 1960s era jersey at that night practice at St. John Fisher. You know, I can KIND OF understand why the Rays would balk on the Pat Burrell nodder. Now that Pat the Bat’s a Ray, there would have been a minor league team capitalizing on a current Ray before he was a Ray. Somewhere, there could have been some undeserved royalties. That being said, it is too bad that the whole promotion had to get shut down. I mean, if the Rays really hated the Clearwater Phillies bobbles, why did they have to let the first two slide, only to blow the whistle at their convenience (when their own player was next in line)? I love the Bills blue throw back jersey but the white on white looks equally nice! Can’t wait for the AFL anniversary season to begin! Everything about that Nets banner is great. [quote]I read your blog every single day, but I do not have a membership or post comments. I am 15 years old and can’t go a game without commenting on the teams uniforms. When I saw today’s post it reallly got me thinking. I spent the next half hour recoloring logos and this is the result. Some of these did not turn out as expected but I thought I’d pass them along! did i mention, he’s 15! Also worth mentioning, the Rays (or Reds or Yankees) didn’t have any didn’t have any problem using the Minor League marks of the Tampa Tarpons and St. Pete Saints on their TBTC nights. This situation cuts pretty close to home for me. Without being totally reactionary, I just have two rational thoughts: It seem silly that some sort of reasonable compromise couldn’t have been reached; whatever is actually gained by the Rays is lost with the negative publicity, it seems very “Naimoli” of them. As a Bills fan, I’m extremely pissed with the classic white jerseys…the sleeve stripes were originally outlined, red on blue, and blue on red. Looks like someone got lazy here, looking at the Brian Moorman pic. This is an outrage, seriously. Gawd, I hope the Bills catch this error before they wear these jerseys for real…ugh!!! Wow…that is so much better than the color scheme they chose! [quote comment=”334725″]I saw this before a Cardinals game the other day. Wonder where they pulled this jersey from? Everything is wrong about it. Other than they messed with the color of the bat, it’s looks fine. One thing about the Cardinals uni bothers me. Sometime over the last 10 years or so, they’ve dropped the lettering/birds to almost the middle of the shirt. When they went to the buttons in ’92 it was nice and high. I know this probably is silly but I wonder if LaRussa ordered it to “create” a lower strikezone. Wow, great job Neil and Chris M! There are so many interesting possibilities to explore that I never would have thought of. Some of these combo logos look fantastic, others not so much. But that is what it makes it worthwhile to see these combos visually and decide from there. Keep them coming! By the way, does anyone think Bucco Bruce looks significantly tougher in red and pewter? Just got done with the collage, great work. Would be interested it knowing a little about how it’s done. Obviously, one could just lay out all the stuff and snap a photo but the quality of the image seem like there is more to it than that. I’m hoping that UW will sometime do a project where the readers are encouraged to make uni tweeks/additions. For example, something like a alternate yellow pants set for the Redskins. [quote comment=”334753″]By the way, does anyone think Bucco Bruce looks significantly tougher in red and pewter? Actually, he looks rather stupid with gray skin. And now I feel old. Wow. [quote comment=”334730″]Can we see the current Blue Jays logo in blue? Any kind of blue, preferably one from their past? No sarcasm here! They’re the BLUE Jays, not the Black Jays. Also like the new Rams and Seahawks with the old colors. Same with the Astros and the Pitt Panthers, although I’d prefer they just go all the way retro. How about the old Nuggets skyline with the new color scheme? Penn State was originally pink and black…nah, some things are better left in the past. [quote comment=”334757″][quote comment=”334753″]By the way, does anyone think Bucco Bruce looks significantly tougher in red and pewter? Switch it around – pewter hat and red skin. Chill out, I don’t really understand your outrage. I am a Bills fan, too. The problem with the uniform that Moorman is wearing is that the red stripes on the sleeves are the same width as the blue ones. They need to be slimmed down. The stripes on the pants are also inaccurate. Lastly, the blue socks shouldn’t be used here. [quote comment=”334761″][quote comment=”334757″][quote comment=”334753″]By the way, does anyone think Bucco Bruce looks significantly tougher in red and pewter? And boy does that scream Washington DC. Very nice. Was about to say there is so much that is incorrect about that Bills road throwback (if it is indeed the uniform they’ll be wearing) that I wasn’t going to even bother to discuss it. The Bills only wore the white road socks for about 2/3 of the season. A while back someone posted a youtube link the Bills highlight film from that year. Watched it all. For their game in Oakland they swtiched the home blue socks and never went back to the white ones. So I guess they could wear either this year, even though they aren’t wearing anything from 1960, of course. I think that Washington State Cougar helmet logo is lame. It doesn’t strike me as creative or designed well. If that is the winner imagine the losers. I much more preferred the old school Cougars on the side. Any thoughts? The Cardinals and Indians will be wearing 1988 throwbacks today. That stylized WSU has been on the maroon helmet for years. The only change (for the helmets) is on the silver lid. And what’s up with that shoulder stripe?! It looks like someone edited out the TV numbers with one of those blocks used to cover the naughty bits in a picture of Paris Hilton climbing out of her limo. Nice! I was wondering about that one myself. Great work! In a perfect world, the Rams would return to the uni’s they wore from 1965 to 1972…simple; crisp; nostalgic…I can see Deacon Jones rushing the passer…Roman Gabriel to Jack Snow, etc…!!! [quote comment=”334780″]In a perfect world, the Rams would return to the uni’s they wore from 1965 to 1972…simple; crisp; nostalgic…I can see Deacon Jones rushing the passer…Roman Gabriel to Jack Snow, etc…!!! The “Blue and White” uni’s are absolutely beautiful…!!! Ok, I know that you guys can help me here. I really like the idea of the current lions logo in red. I am trying to make a team on NCAA teambuilder with this logo, but everything I try on ms paint comes with a stupid white box backround. Can someone make the logo red without including a backround? If so please post a link to a picture. Idk how to get rid of that stupid white backround. That Astros logo is a vast improvement. But if they go that far, they may as well go ahead and re-introduce the shooting star. damn. I dont think the link will work, but if you search by author chippewapride5 you can easily find my school. Any help will be appreciated. This rules. A cross between Tony Gwynn and Reese’s Pieces. It’s unique, a far cry from their current design. Best one of the day. How about doing the Panthers, and the Lions for that matter, in the colors of the USFL Michigan Panthers? I knew it wasn\’t a new logo on the maroon helmet, I just don\’t care for it at all. I have always liked the script Cougars logo better. For all helmets. Cardinals and Indians are on – it’s 80s throwback day. Cards didn’t go powder blue, though. They went with the gray 80s road unis. I believe Skip Schumaker is wearing some nice striped stirrups. Gosh.. the Brewers are terrible on Nationally televised games. Maybe they need a uni overhaul to change their luck ’cause I am sick and tired of watching them embarrass themselves on a national level. Ricko good point on the non 1960, 1960 uniforms they are wearing. (Same thing for the Raiders, & Pats, non 1960, 1960 uniforms) I am just glad they aren’t wearing their current nightmare of a uniform for every game. JimV, how do these look? I really like the first Lions logo. You need the Picasa program from Google. It organizes your photos and then you can make a collage. picasa.google.com. [quote comment=”334794″]JimV, how do these look? I really like the first Lions logo. Oh yeah! I like both Lions and I love the first Panther. 2nd one’s okay, but I’d love to see that first one if they ever play the Lions at Ford Field. Thanks! Don’t suppose you could do the Nuggets skyline jersey with their new colors?? Somebody should tell your Brews they aren’t really on national TV, that is if Florida is still part of the nation. 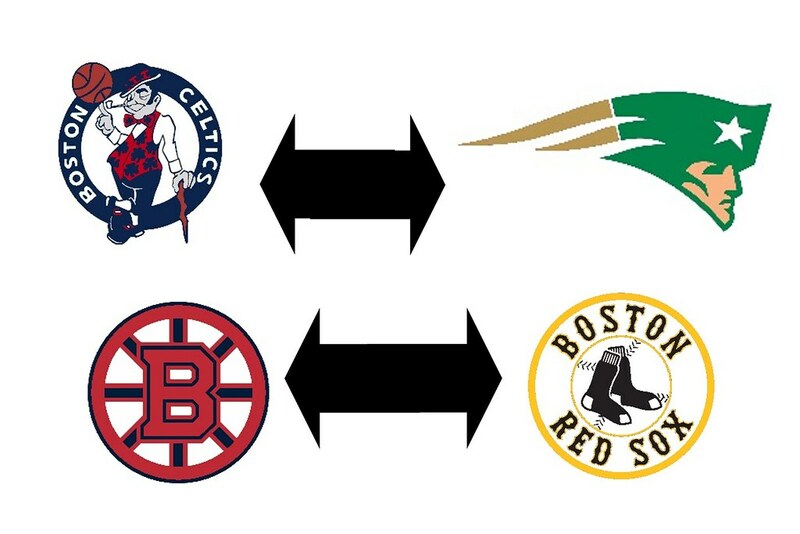 Here’s my Boston sports color swap. I love the way the Patriots head looks with the Celtics colors. [quote comment=”334796″][quote comment=”334794″]JimV, how do these look? I really like the first Lions logo. No, sorry, I’m not very good with jerseys. Someone named fnz on Chris Creamer’s site made these though, which is sort of what you mean. http://img51.imageshack.us/img51/503/denvernuggets.png Again these *are not* mine they are fnz’s. [quote comment=”334800″][quote comment=”334796″][quote comment=”334794″]JimV, how do these look? I really like the first Lions logo. That’s almost exactly what I had in mind. Thanks for passing that on to me! [quote comment=”334799″]Here’s my Boston sports color swap. I love the way the Patriots head looks with the Celtics colors. The high school I went to is the patrios and use the flying elvis in green and gold. How about the new Ducks logo with the old teal and purpleish-red color scheme? It took about 3 minutes for Sports Illustrated to tout their Stanley Cup Championship Pittsburgh Penguins merchandise and we all know they have packages at the ready for every team in contention. The question is where do the unused collections go for the championship loser? I can just picture a warehouse filled with memorabilia of the World Champion Arizona Cardinals, Tampa Bay Rays and Orlando Magic. It would be great to see some photos of any stuff that survived the incinerator! You are showing an orange and black Mets cap, which current day manufacturers fob off as a Giant hat. The Giants’ cap emblem is somewhat different, and its dimensions are better than those of the Mets. The current manufacturers use the Red Sox cap logo for the Brooklyn Dodgers as well. Enough photos exist to make me think they ought to know better. [quote comment=”334752″][quote comment=”334725″]I saw this before a Cardinals game the other day. Wonder where they pulled this jersey from? Everything is wrong about it. I think they answer is sloppy lettering by Majestic. The wordmark is too low, and the Car-and -dinals don’t line up properly. In my world the bat would be all-black, and the 1949 uniform would reappear. That looks pretty cool too. Really late to the party today and only skimmed the comments, so I’m hoping nobody’s mentioned this already. I’d love to see some “blasphemous” color swaps — basically big rivals with totally disparate color schemes. I’m talking Dodgers/Giants, Bruins/Canadiens, Celtics/Lakers, etc. The one I’d like to see most (surprise, surprise) is Bears/Packers — and full unis, not just the logos. Specifically, I’d like to see the dark/bright color pattern followed. So the Pack would have orange helmets & pants with blue jerseys and the Bears would have Green helmets & jerseys and white pants. I truly wish I had Photoshop (and some clue as to how to use it) so I could put some of these together. I don’t know if this counts, the Vancouver Canucks have already returned to their classic colors, however, in the following two images, I have added green to the current logo to complete the look. [quote comment=”334815″]Really late to the party today and only skimmed the comments, so I’m hoping nobody’s mentioned this already. I’d love to see some “blasphemous” color swaps — basically big rivals with totally disparate color schemes. Try using the gimp program. It’s a great free alternative to photoshop. Go to gimp.org to download it. I would highly recommend it. [quote comment=”334818″][quote comment=”334815″]Really late to the party today and only skimmed the comments, so I’m hoping nobody’s mentioned this already. I’d love to see some “blasphemous” color swaps — basically big rivals with totally disparate color schemes. Gimp is what Sergey Brin used to whip together the first Google logo. I use Irfanview but might give Gimp a spin. [quote comment=”334823″][quote comment=”334815″]Really late to the party today and only skimmed the comments, so I’m hoping nobody’s mentioned this already. I’d love to see some “blasphemous” color swaps — basically big rivals with totally disparate color schemes. BWA HA HA HA HA HA. BEAT LA. I’d like to see that swap for real. They both look good to me. [quote comment=”334782″][quote comment=”334780″]In a perfect world, the Rams would return to the uni’s they wore from 1965 to 1972…simple; crisp; nostalgic…I can see Deacon Jones rushing the passer…Roman Gabriel to Jack Snow, etc…!!! That Rams webpage talks about the 1972 home “blue” version…I can probably count on one hand the times the Rams had to pull out the ROAD blues. [quote comment=”334824″][quote comment=”334823″][quote comment=”334815″]Really late to the party today and only skimmed the comments, so I’m hoping nobody’s mentioned this already. I’d love to see some “blasphemous” color swaps — basically big rivals with totally disparate color schemes. OK, this is really late to the party, but I didn’t see anyone really mention this, so I’ll say it. If I’m reading the articles right about the Clearwater Bobblehead debate, it’s not that they can’t do bobbleheads, or any other promotion. The problem is that they were going to be Phillies bobbleheads, featuring Phillies players, presumably in Phillies uniforms. It’s not the bobbleheads, it’s the players being used for the bobbleheads. Later in the season, when the same team travels to LA, prepared now with all kinds of new plays that neutralize teams with two sets of horns, the Rams come out dressed as… the Dallas Cowboys! Who can prepare for that kind of switcharoo? It sounds like the fact that the Threshers planned to give away a bobble of one of the Rays’ current players (Burrell) is what sparked it, but apparently now ALL of the minor league teams within that 60-mile radius have to scrap their bobblehead promotions. [quote comment=”334828″][quote comment=”334824″][quote comment=”334823″][quote comment=”334815″]Really late to the party today and only skimmed the comments, so I’m hoping nobody’s mentioned this already. I’d love to see some “blasphemous” color swaps — basically big rivals with totally disparate color schemes. I would love to have a BEAT LA t-shirt. I have seen people wear em at games, and I havae never seen one in a store, not even at the team store. For the post that I wrote above I left out something. For the second link, have the Philies actually worn that hat in a game? Yankees + Mets colors = obscure Knicks shorts logo? I’m surprisingly not offended by that sight. But by all means, continue. Our uni “experiments” must go on. [quote comment=”334760″][quote comment=”334730″]Can we see the current Blue Jays logo in blue? Any kind of blue, preferably one from their past? Trying my hand at this…old Blue Jays colors, new Blue Jays logo. This message board is awesome! Hmm…it’s different, but it could work. I bought a Brewers hat 3 years ago at Lids/Hat World which featured the old “ball in glove” logo in current colors. It also had the current wordmark on the back. So that combo wouldn’t be a complete stretch, considering it’s already been marketed and licensed. Included: Washington Nationals logo without shadows, my take on the Milwaukee MB mitt, lots of NHL teams in the same colors as before they relocated, other current logos with old colors, a Lakers/Clippers cross-town mix up, twisting up the NFC North, and twisting the NBA and Stanley Cup Finals teams. [quote comment=”334842″][quote comment=”334760″][quote comment=”334730″]Can we see the current Blue Jays logo in blue? Any kind of blue, preferably one from their past? I think the red trim stands out too much, I’d convert that to the powder blue (and make the black a bit thinner), then put a red maple leaf in the “J”, level with the bird’s eye. THERE you have a much more proper Toronto Blue Jays logo if they really had to depart from the original. I remember the Rams had one of the best uni’s in all of sports. That came to an end when they changed from yellow to gold. What’s up with that? The Penguins seem to have done the same thing. Is yellow faux pas now or something? That Seahawks lime-green is faux pas to the third power which by the way is another unnecessary uniform change. Only one team can rock lime-green, purple, and sky blue……the Orlando Thunder (guilty!)! 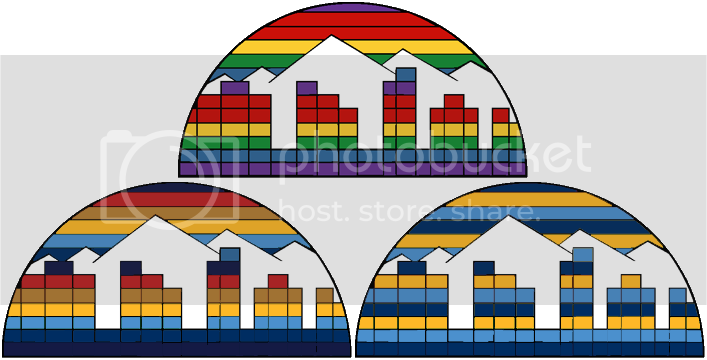 Somebody else asked for the Nuggets’ old skyline in the new colors, so here’s the old skyline, one with the Dikembe upset-era colors to fill out the spectrum and one with just the new colors. I’ve also tried a few others, but they weren’t that good, and the new Hawk logo in green and blue was especially nasty. If I come up with anything else good, I’ll be sure to post it. Isn’t the “upside-down N at Turner Field” technically rotated 180 degrees? The colors on your old/new Brewers logo are a little off. Here it is with the correct colors. Personally, I’m not a big fan. I think it works much better in the brighter shades. hey i found these last night on ebay. i thought yall would like this he also has the black ones. i bought a few pairs myself and he had 45 left at time.